Happy Wednesday! I hope your week is going well! We are finally getting back to normal around here after the crazy sickness hit our house last Friday. The only good part of sick children is the quiet family time at home and my house is really clean right now. All of the Clorox wipes and Lysol should have my house germ free, lol. I am so ready for flu/sick season to be over! 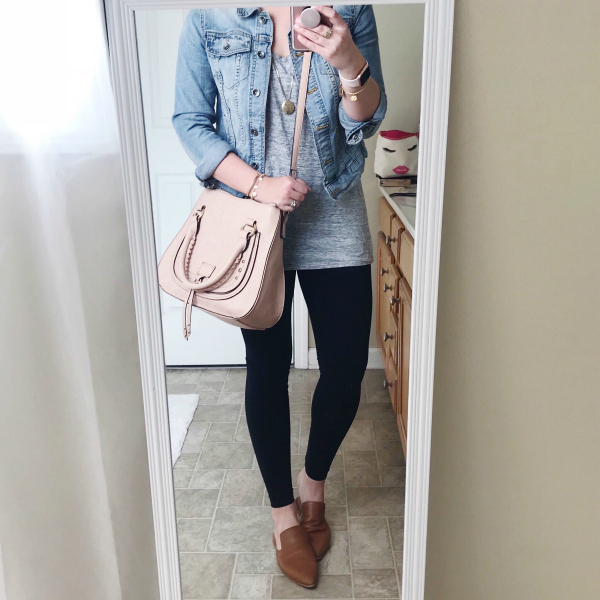 Today, I'm sharing my weekly Instagram Roundup, which is filled with outfits to transition into spring. I am all about layers this time of year because the weather seems to be super unpredictable. 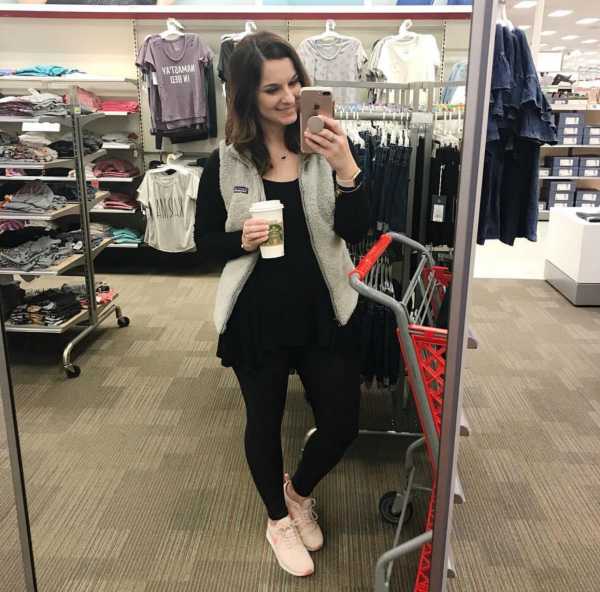 I love layering with a denim jacket, a fun spring colored cardigan, or my favorite camo jacket! Happy Tuesday! I found the image above on Pinterest several years ago and it resonated with me because I have literally been tired since I had my first child in 2010! That was also the same year I become a coffee drinker, lol. 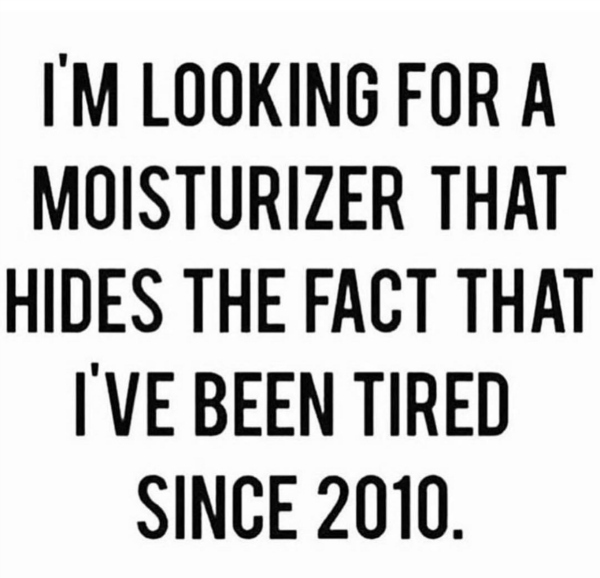 Over the weekend, I asked for some recommendations for a new face moisturizer that would make me look less like I have been tired since 2010. So many women responded and shared their favorite budget friendly options so I thought I would round them all up and share the list with y'all, in case you are also on the hunt for a new moisturizer. I ended up purchasing two new moisturizers, since they were both super affordable to give them a try. One to use during the way and one for nighttime. Next up is a list of the moisturizers that were suggested to me. 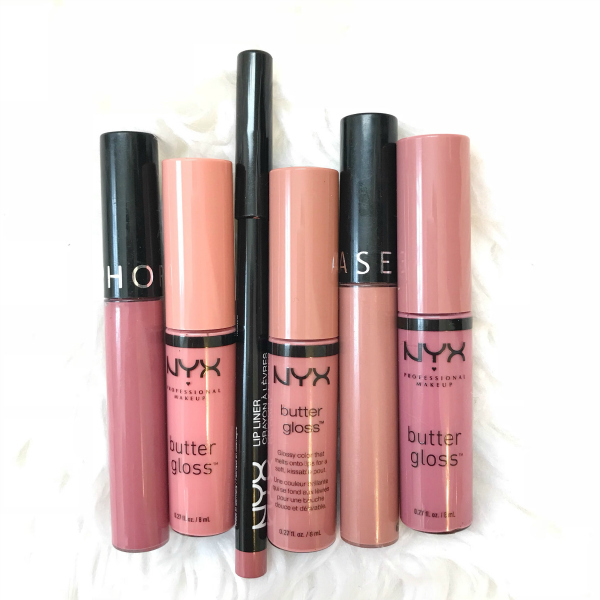 I personally haven't tried any of them myself but if you have, please let me know your thoughts! Did I miss any amazing budget friendly moisturizers?! Leave a comment below and share it with me! Thank you so much for stopping by! Have a great day! Happy Monday! I hope you had a good weekend! We spent most of our weekend cuddled up at home because both of my children have been sick. My oldest woke up not feeling well on Friday so I took her to the doctor but they said she just had a virus; tested negative for flu and strep. Then Saturday morning, my youngest had a fever, too. They are home from school today and I am praying they are on the mend. It makes me so sad to see them feeling bad! 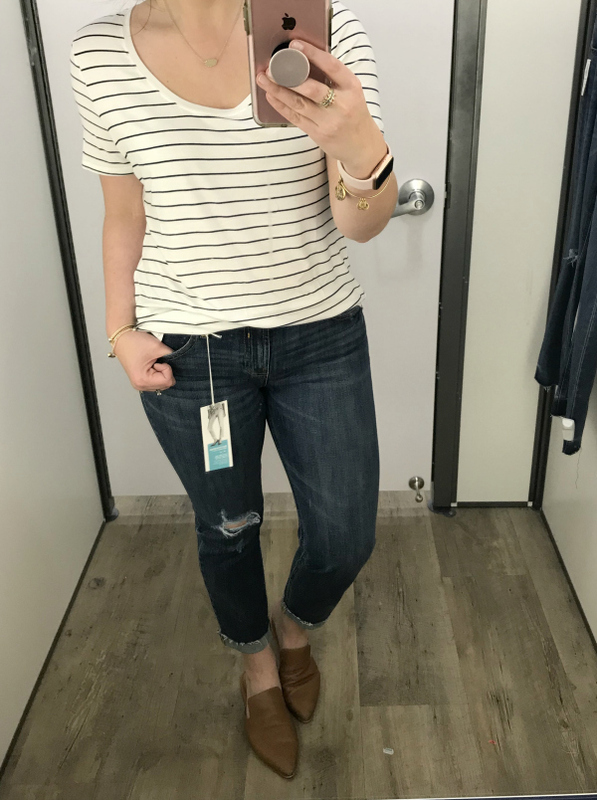 Today, I'm sharing a budget friendly denim try on that I did at Old Navy on Saturday when I got to get out of the hours for a few hours on my own. 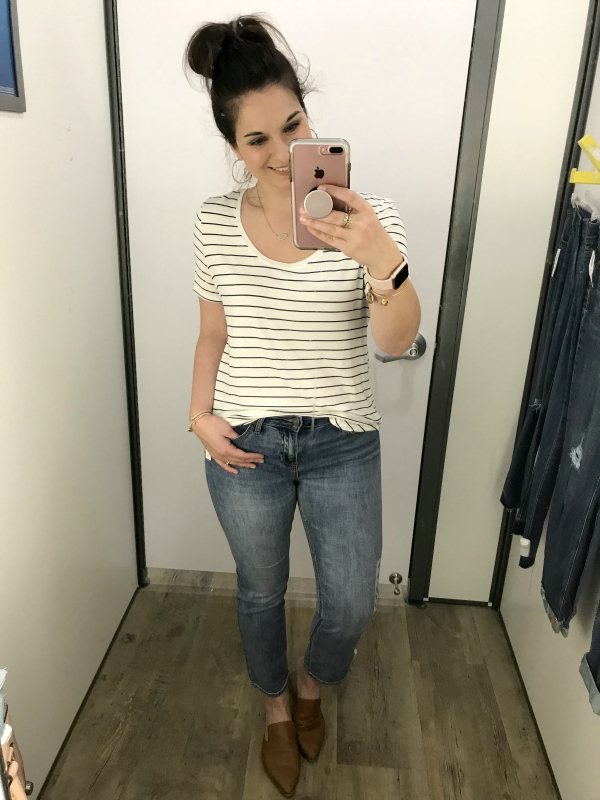 Two of my favorite pairs of jeans are from Old Navy and the prices are always so affordable! I tried on seven pairs for y'all and ended up going home with two of of the seven pairs that I tried on. Can you guess which ones I picked?! 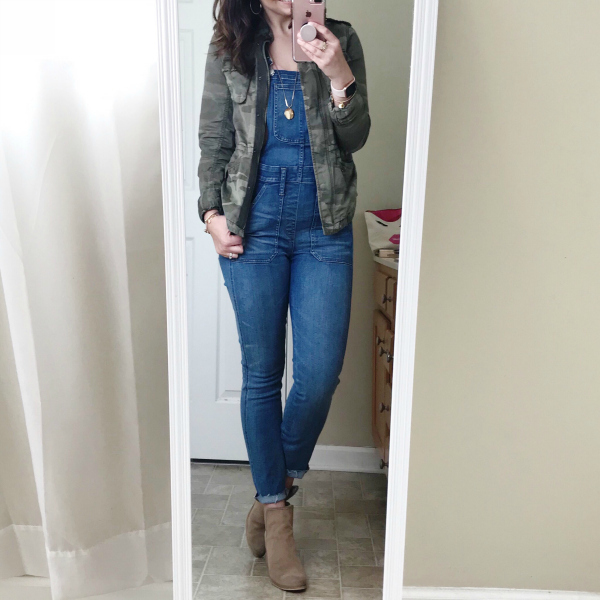 I have also been a big hunt to find budget friendly overalls to share with y'all and I finally found a pair that are super similar to my Madewell ones! 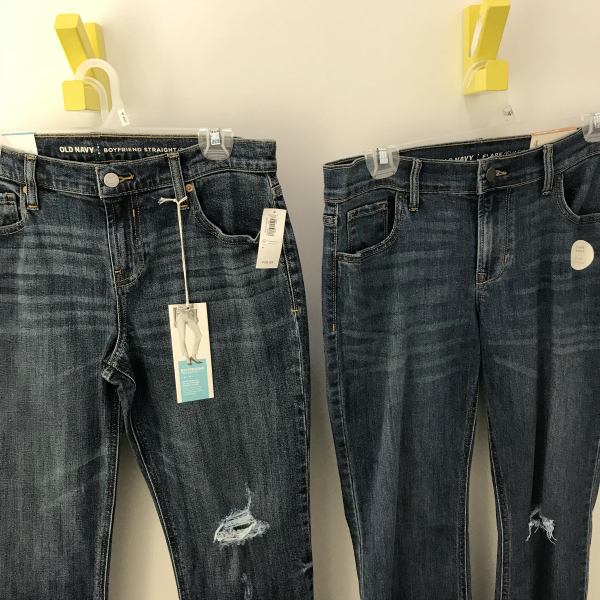 I couldn't find them in the store to try on but I would go with your normal Old Navy skinny jean size in them or get two sizes and return the one that doesn't work out, just in case they sell out. Yay for affordable overalls! 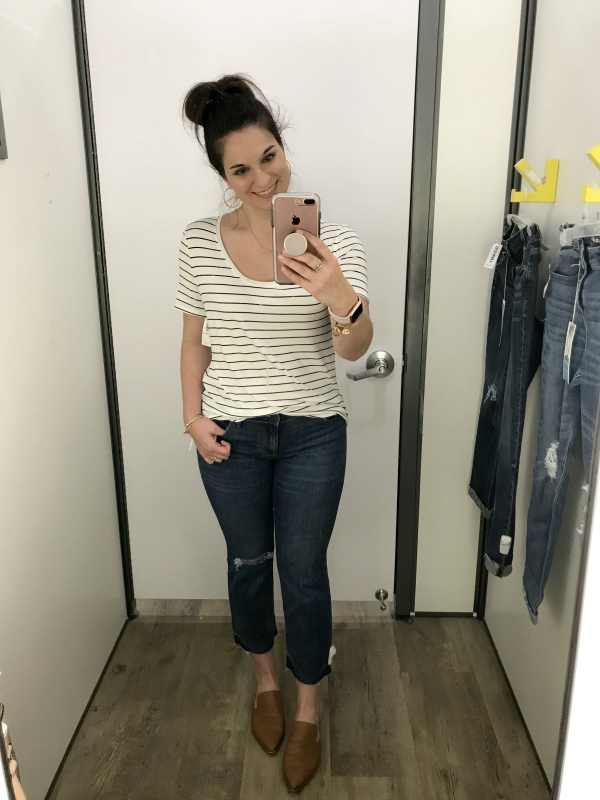 This style is a new one for Old Navy and it's called the Power Jean. It's a stretchy, straight leg jean with a mid rise. I was able to size down one size in this style. I'm wearing a size two for reference. 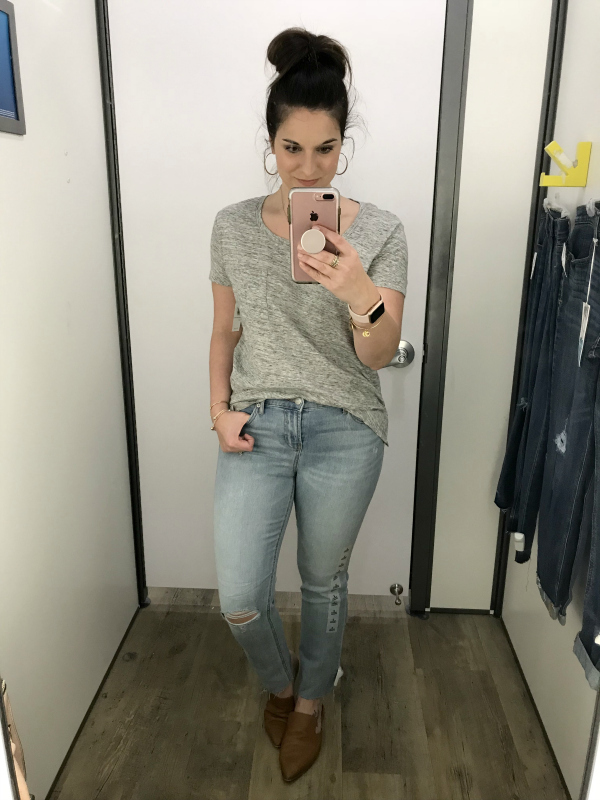 This pair of boyfriend jeans are super similar to one of my favorite pairs that I already own from Old Navy. I would say this is more of a girlfriend style because they don't fit too relaxed. Stay with your regular size in this style. I'm wearing a size four in this pair. This is a great classic pair of dark wash skinny jeans. They don't have any fraying or distressing so they are perfect for dressing up. 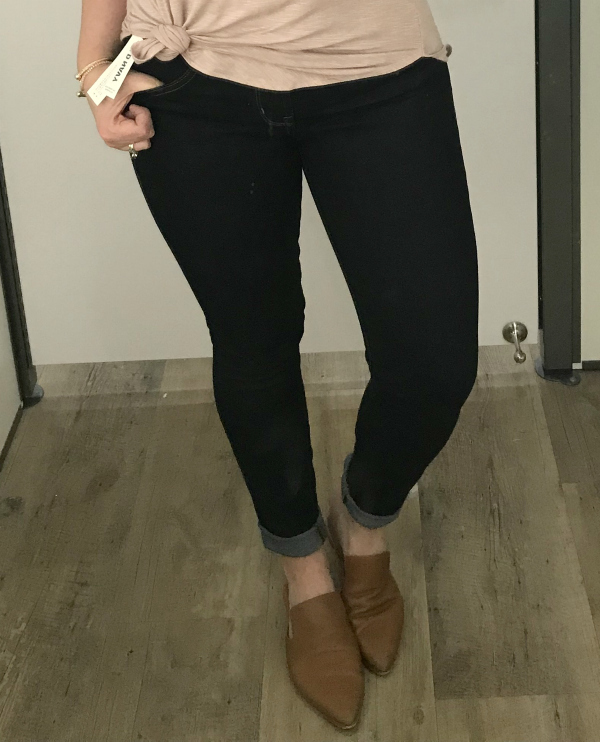 I found this style to run small and my normal size was a bit snug in the waist for me because they don't have as much stretch as the Rockstar skinny jeans. I would recommend sizing up one size. 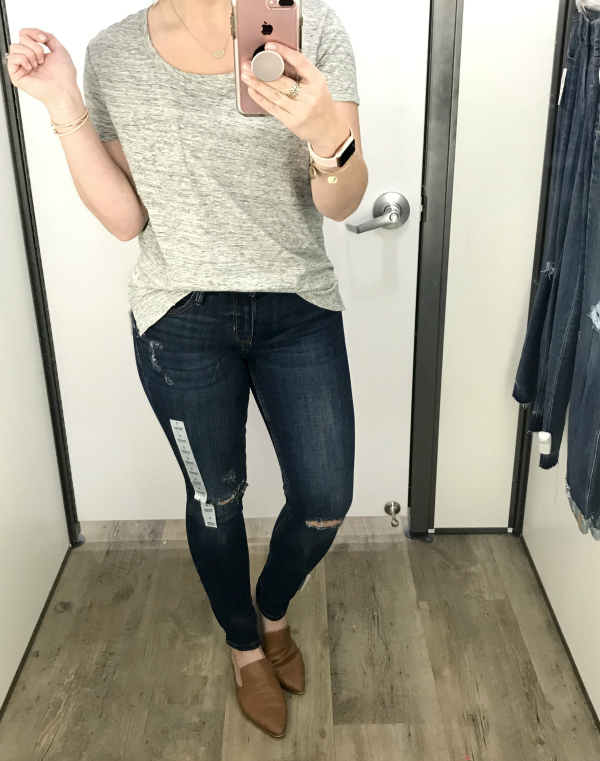 These Rockstar skinny jeans so super comfortable and stretchy! I own several pairs in this style and I love them! I was able to size down one size in this pair. This is another pair of Power Jeans except with the raw hems and distressing. This pair is great for work! I love the length of this pair for springtime. This pair also runs a little big so I sized down one size for the best fit. 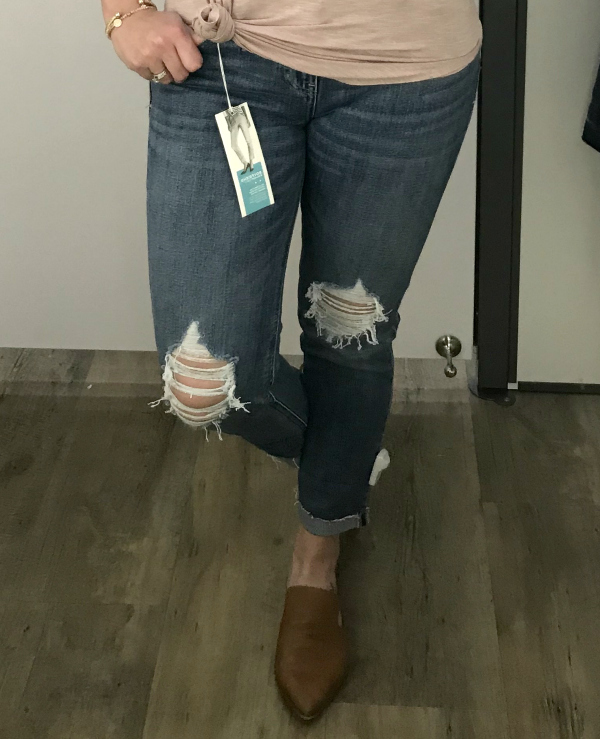 I love the distressing on this pair of boyfriend jeans because they are edgy but not too crazy or revealing. They fit just like the other boyfriend jeans that I shared above so stick with your regular size. How cute are these flare leg cropped jeans?! 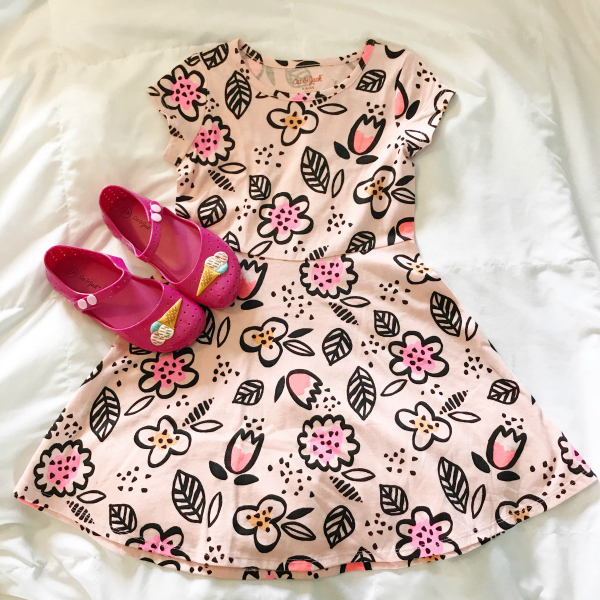 This is such a fun style for spring! I think they would be great with a pair of wedges or sandals. This style fits true to size.